A friend from college, Richard Moran, released his first book today and I am pleased to put his cover and blurb on my blog. 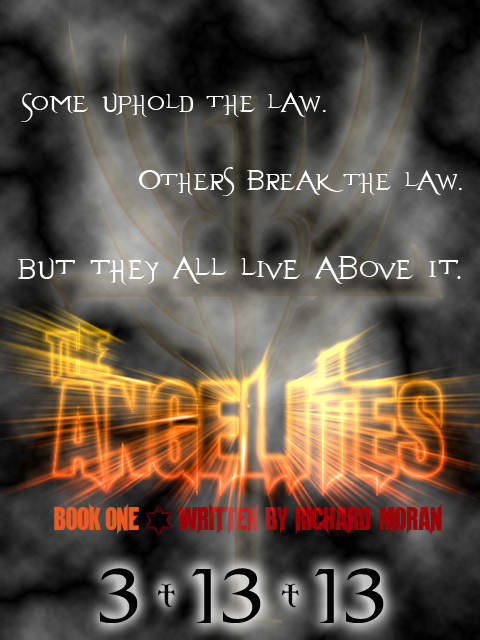 If you like adult paranormal fantasy - good vs. evil type book, you should check it out. Gina was on top of her game in the world of law enforcement. She graduated with honors from the police academy and was the best detective for the NYPD. Ten years later, she chose to start her life over and relocated to New Mexico, working as a small town sheriff. 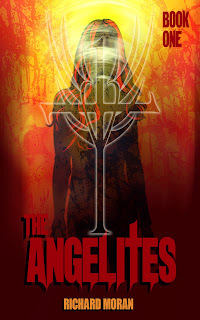 One night, Gina confronts a demonic cult and the first steps were taken toward her true destiny, leading a group of special officers named The Angelites, to protect the world and humanity from Satan's largest army known as The Clucifix. Now Gina must decide will she accept her calling or go back to living the quiet life in New Mexico. The Angelites is a paranormal thrill-ride that is filled with twists and turns that will keep you guessing until the very last page. If your looking for a supernatural drama, with action and a touch of horror, then you'll enjoy taking a journey into this new epic saga.